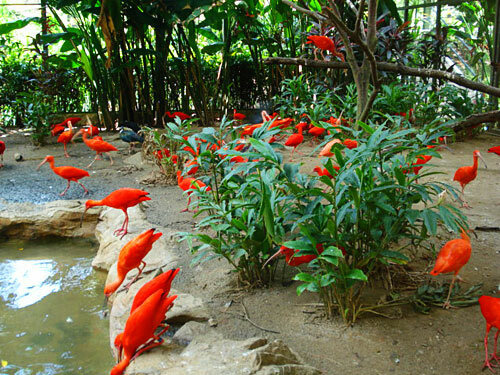 Jurong Bird Park is located at 2 Jurong Hill Singapore 628925. Jurong Bird Park is opened to public on 3 January 1971 a cost of 3.5 million. This Bird Park, home to many species of birds covers an area of 202,000 square meters. The late Dr Goh Keng Swee, the minister of Finance back in 1968 proposed the building of this world class Bird Park. Jurong Bird Park is the world’s biggest Bird Park in terms of number of birds ( over 5000 ) and 2nd largest in terms of bird species (400) . There are 29 threatened species right here. In 2006, the Bird Park underwent a $10 million makeover. 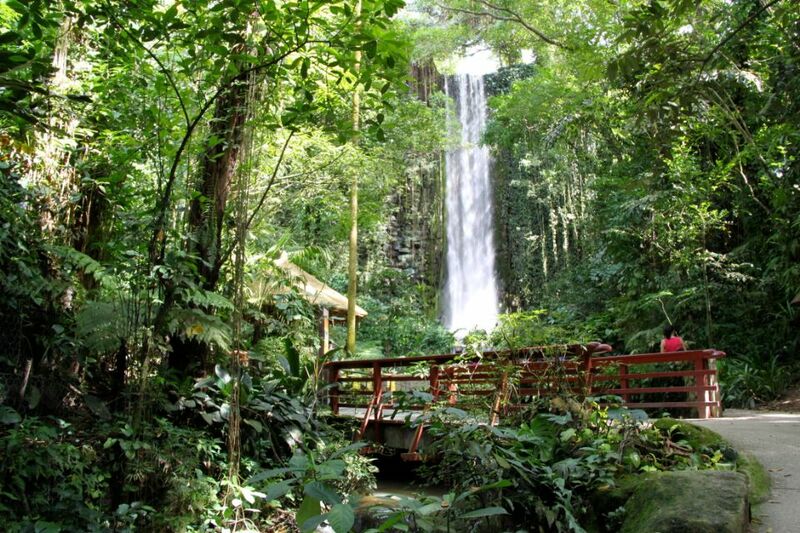 There is the Waterfall Aviary with a 30meter tall manmade waterfall and a world’s second largest walk-in aviary with about 600 free-flying birds from over 50 species. There are daily feeding sessions here. Lory loft is the world’s largest 9-storey lorry flight aviary for Lories and lorikeets. Jungle Jewels is made to resemble South American rainforest and there you find the toucan. At Penguin Coast there will be special Penguin Encounter Sessions where you can get close up with the penguins and feed them. At Flamingo lake you will be greeted by hundreds of flamingos. Pelican Cove is where you can find 7 species of pelicans scooping for fish during feeding times. The Breeding and Research Center is where visitors can see how the staff take care of the eggs and chicks which are endangered. Birdz of Play is a Bird-themed playground where kids can have fun with the slides and wade in the pool. If you like shows you should watch the High Flyers Show, Lunch with Parrots Show and King of Skies show. Do you want to have a sumptuous meal which you can also enjoy the views of the beautiful flying birds? You can head to Songbird Terrace for buffet or Lunch with Parrots. For drivers: From the City travel PIE: Take the PIE towards Jurong/Tuas then take Exit 36, and turn left onto Jalan Bahar towards Jalan Boon Lay then turn right at Jalan Ahmad Ibrahim to reach Jurong Bird Park. Or Travel Via CTE from the City: Take the AYE towards Jurong, then take Exit 17 onto Jalan Ahmad Ibrahim to reach Jurong Bird Park. The nearest Mrt station is at Boon Lay Station and then get on Bus 194 or 251 from Boon Lay Interchange. For direct buses, you can alight at various spots in Singapore like Orchard, Little India, Beach Road, Chinatown and Suntec. The bus schedule is here. Other facilities available include strollers, lockers, wheelchair and wagons. A fee is applicable except for wheelchairs.